Please define my engine's CAM Specs in lay terms for me. Seated IVO = estimate 28° BTDC . Seated IVC = estimate 62° ABDC. This is a short duration cam with typical 1980s lobe centers. The overlap is good for a street cam. Limiting the IVO to 30° or less improves vacuum, idle, low rpm torque and drivability. The intake valve closes early, which would help build dynamic compression in a 1972 Cobra Jet which only had 8.6:1 static compression. So, Is this a mild cam in layman terms? or does it not bring anything significantly more tan a stock cam? Thank you. Mild cam? Yes if you consider the factory Cobra Jet cam a mild cam. Part of that has to do with perspective. In the 1970s and 1980s the factory cam wasn't all that mild. Lobe design AND valve springs back then didn't offer the options we have today. By today's standards yes its pretty mild. The cam is just one step short of doing anything "bad" to the engine's power band. Its a good design for a street cam, considering it was probably designed in the late1970s. Not too many people could afford a "weekend car" back then. People drove their performance cars to work (in traffic, in bad weather, etc). In 1977 some Cleveland equipped cars were still under factory warranty! And in California they had to pass a smog inspection. The biggest difference between this cam and the factory Cobra Jet cam are the lobe centers; 117° (factory cam) verses 112°. This cam was intended to make a few more horsepower due to the advanced intake valve events. And it was intended to invigorate the feel of the engine via increasing the dynamic compression and making the torque curve less flat, I would expect the torque curve to have a gentle rise to its shape. As the torque curve steepens the controllability of traction worsens, and the engine becomes less and less useful for daily driver duty. The power band will be narrower, and it will fall-off faster at high rpm. You mention that this is a fine cam by 70s standards, and I have no complaints about the performance of this engine. It was built for me about thirty years ago but a Rick Stambaugh, of Stambaugh racing which still exists. 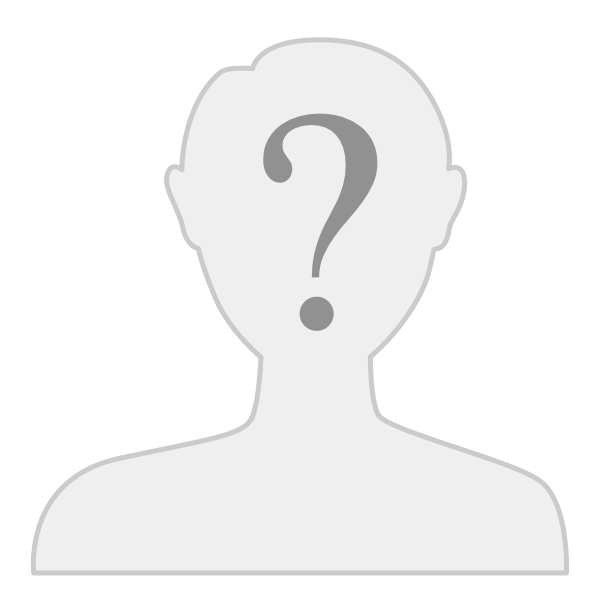 He was a rather successful drag racer and good friend if a friend. At the time Rick asked me just how much go I wanted this car to have and how much I wanted to spend. I stopped well before the 'I want to blow everybodyies doors off' alternative, but settled for something like 'fast enough', and that it is. But I'm curious about the contemporary cams for the old 351C. How have they changed? What has to accompany them to improve performance in a civilized fashion? I know this is like asking how long is a string. But is there a lay explanation? What are you running in your car? How do you drive it? FYI, since 1990 I've used the mentioned Ford/SVO A-341 hydraulic flat-tappet cam in a stock bore 351-C, aluminum SVO heads @ 10:1 CR & a tuner-Holley 700 carb, in place of a stock '72 cam, 4V iron heads & a 650 vac-sec Holley as-received, in our street car. The combo added about 100 bhp and subtracted 4 mpg fuel usage (now 21 mpg cruise @100mph-up). Still pulls at 160 mph. Judicious use of throttle & clutch (especially in low) & 2nd needed when accelerating to avoid smoking 275-50x 15" Pirelli P-7 rear tires. A fine street setup but choose your battles carefully with newish sporty-cars that have turbos &/or 50% more power, cams & valves. My 115 lb wife regularly drives it & has no complaints about its manners. Modern cam lobes have faster rate ramps. The ramps are where clearances are taken-up in preparation of opening the valve; and where setting the valve back on its seat occurs as the valve closes. A faster rate also equates to a shorter ramp length or duration. Modern cam lobes also have faster lift-rate flanks … the flanks of a cam lobe are where the opening and closing of a valve take place. High lift no longer requires long duration as it once did. Aftermarket cams are generally ground with narrower lobe centers, thus torque curves are steeper and power bands are narrower. The cams imbue engines with lopey idles, the steeper torque curves react more vigorously to the throttle, and therefore burning rubber is easier … sometimes unavoidable. Supposedly that's what SEMA customers want, or at least that's what SEMA advertising and Hot Rod magazine have people convinced they need. The needs of a 351C with 4V heads are different than the needs of a 351C with 2V heads. But this is not unique to the 351C. Explaining why will help in understanding the peculiar needs of the 351C with 4V heads. 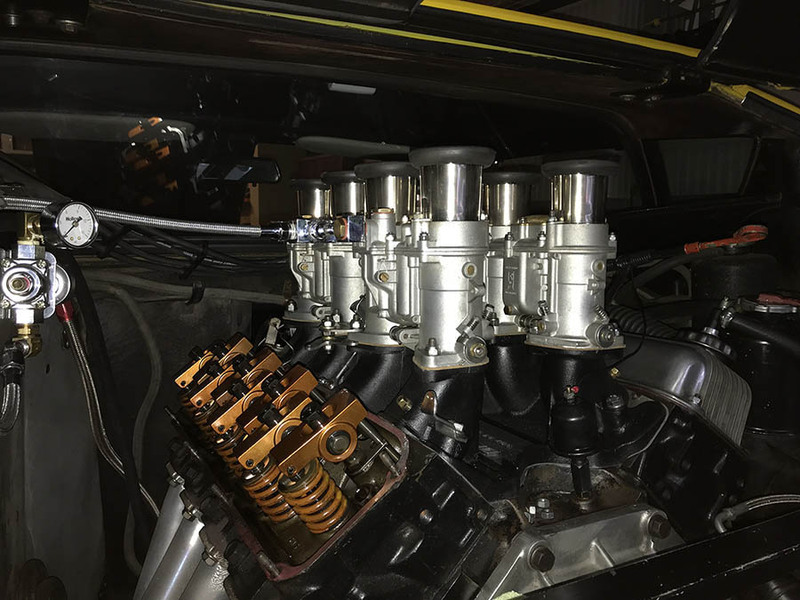 When federal emissions regulations took effect in 1968 they impacted 3 aspects of an engine … the carburetors were tuned for leaner air/fuel mixtures; the compression ratios were lowered; AND the camshafts were designed for less duration and overlap. These things were done to lower hydrocarbon emissions, carbon monoxide emissions, and emissions of the nitrides of oxygen (i.e. NOx). The manufacturers initially responded to the federal regulations with plans to work around them and continue building performance cars. So the manufacturers developed heads that didn't rely upon long duration cams in order to have high rpm power bands. Chevy developed rectangular port heads for their big block Mark IV engine. Pontiac developed big port heads for their 350/400/455 engines. Chrysler's new performance heads had bigger valves, open combustion chambers and larger ports. Ford developed the Cobra Jet heads for the Big Block 385 series V8. And Ford also developed the 4V heads for the 351C. These “big port” heads allowed those engines to develop high rpm power bands while using short duration low overlap cams. This is a unique group of engines that "in general" the SEMA crowd doesn't understand. The extent to which cams are designed to meet the needs of these special engines varies from engine to engine. Comments about these engines however are more or less the same … the ports are too big … and it’s easy to over-cam them. Unfortunately the SEMA industry has many enthusiasts believing all engines are the same. They reject engines that don’t fit the mold, rather than accept the fact that their methodology doesn’t apply to all engines. That “mold”, i.e. the average engines which SEMA caters to, are akin to the small block Chevy. They have inherently low rpm power bands; they require long duration cams, more overlap, and dual carburetor or single plane intake manifolds to get them to rev higher. The "big port" engines however were designed differently. They have inherently high rpm power bands. Performing the same modifications to big port engines that are normally applied to low rpm engines drives the power bands of the big port engines too high … and drivability suffers. Then the engine is blamed instead of the methodology of the mechanic. Modern high lift – short duration camshaft lobes work fabulously with the late 1960s – early 1970s big port engines. But even when increasing valve lift alone an engine’s power band shall be pushed to higher rpm, in a manner similar to increasing a camshaft’s duration. So limitations arise. In regards to camshafts for the 351C with 4V heads, to take advantage of modern cam lobes, to "improve performance in a civilized fashion" as you put it, I find it necessary to have camshafts custom ground to my specs. I keep the torque curve flat and wide with wide lobe centers (I use 114 degrees these days) which makes the power easier to control, and I keep the duration and overlap short to avoid pushing the power band any higher than it already is. But pushing the power band higher is inevitable. For instance peak horsepower occurred at 5800 rpm with the factory cams (the 351 Cobra Jet had 0.481 gross lift, the 351 Boss had 0.477 net lift), while with 0.580 inch gross lift (0.570 inch net lift) peak horsepower occurs at 6500 rpm. A Cleveland should be rev limited at 6200 rpm unless high rpm durability improvements are performed. Peak horsepower occurs at 6200 rpm with gross valve lift at 0.530". So unless a person is willing to spend the money performing the needed high rpm durability improvements, it doesn't make sense to install a cam with more than 0.530 lift. The factory rocker arms are known to cause accelerated valve guide wear when used with high lift cams. So 0.530 lift is a good limit for the factory rocker arms too. AND … with 0.530 lift an engine with a single 4bbl carburetor will make about 410 net horsepower. It just so happens that 410 net horsepower is near the limit of the factory fuel system to supply fuel. So there's quite a point of convergence for 0.530 lift and 410 horsepower. From that point onward the dollars multiply quickly. Of course, those Webers your engine is equipped with raise volumetric efficiency, so for any given set of parameters, your engine would make more horsepower than an engine equipped with a single 4bbl carburetor. When in college I aspired to become an automotive designer but decided to move toward architecture because entry level automotive design amounted to the likes of designing door handles and license plate bezels and was simply to limiting for me. My love for cars persisted on an aesthetic level, but motor mechanics have always remained a mystery. 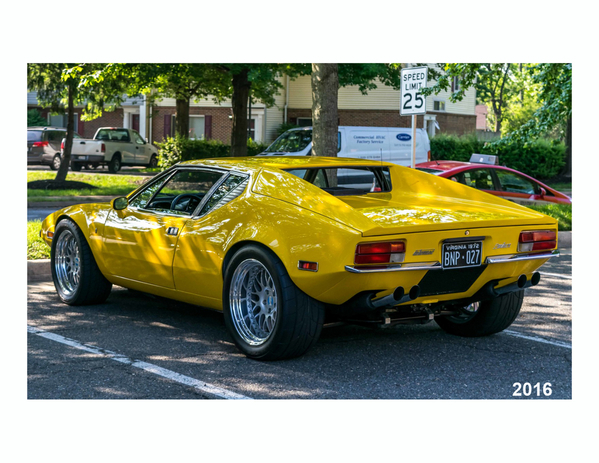 To me the Pantera is a logical statement of form and function without going over the top. I have owned my Pantera for 39 years and it's still a thrill to drive, and it show well. My classmate Tom Gale pushed through this tedium and became one of the best automotive designers of our generation. Thank you for your elaborate and understandable explanation. I think I knocked on the right door for an answer. I don't mean to hijack the thread, but I have a similar question for you cam gurus. I'm going through an engine I built 30 years ago, just to verify it's condition before I put it in. It has been so long that I a) lost the cam specs, and b) don't remember if I installed it straight up or not. As I recall, it is a TRW TH-580 cam, which was supposed to be much like the Ford CJ hydraulic cam, with just a bit more lift. Maybe one of you has the specs for this cam, which would help me figure this out without taking the engine apart (much). Thanks in advance.